SOUTHLAKE, Texas – Nov. 14, 2013 – Sabre, a global travel technology company, announced the launch of its next generation air shopping platform, which has been proven to find the lowest fares and provide more fare choices for travelers. The platform is based on a specifically developed algorithm that within milliseconds searches, evaluates and ranks more than a billion fare combinations providing the shopper with a comprehensive list of the lowest fare options. The enhanced shopping platform meets the needs of evolving consumer shopping behaviors and the growing number of airfare options. 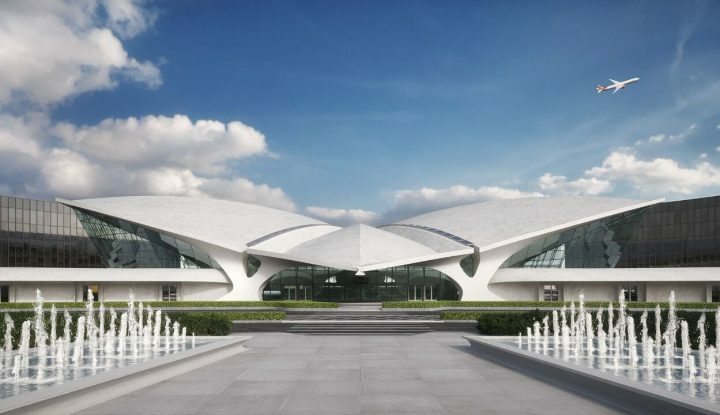 In addition, it allows for new features such as the ability to return multiple prices for the same itinerary, letting travelers easily shop and compare the different fares and services offered by airlines. To test its system, Sabre commissioned a third party, independent study comparing the efficacy of its shopping system to other providers. 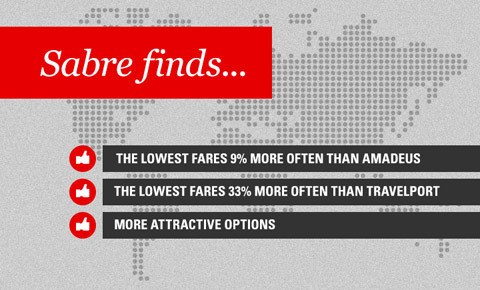 The results show that the Sabre system delivers superior low fare search capabilities and the best airfare options in each region and globally. Conducted by Fried & Partner, a well-established marketing and management consulting company, the study found that Sabre finds the lowest fares more often than Amadeus and Travelport in all regions. Further, the Sabre system also finds more of the itineraries that travelers want to buy, both in terms of time of day and length of travel times. The enhanced shopping platform will also allow Sabre to add new services such as expanded calendar search and an enhanced “alternate city” search to its existing capabilities without compromising performance. The Low Fare Study was commissioned by Sabre and conducted by Dr. Fried & Partner, a leading marketing and consulting company. For the study, Dr. Fried & Partner conducted a competitive analysis and comparison of the low fare search capabilities of Sabre, Amadeus and Travelport. The study covered 24 countries from North America, EMEA, Asia Pacific and Latin America and included 100 of the top booked city pairs per country. For each city pair, Dr. Fried & Partner evaluated the GDSs’ ability to find the lowest fare with eight combinations of advance purchase and travel duration. In addition, the following dimensions were considered in this study: Low fare efficiency, availability of results, time of day distribution, inbounds per outbound and price/service buckets.